Side loaders, as their name suggests, load from the side giving the operator a clear view in front and behind. They are used to carry loads such as lengths of timber or piping. They are versatile as they can be driven up alongside the load and pick it up without having to turn like a counterbalance truck. 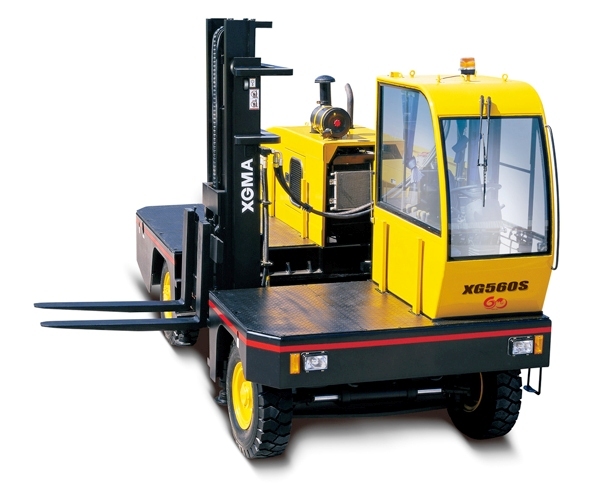 These trucks are ideal for working in narrow aisles and for travelling through doorways as the loads are carried alongside of the truck and not across the front as with a conventional forklift truck.